28 unusual ideas of what to do in Tanzania! Endemic monkeys live in a sanctuary in Zanzibar. The park is open daily from 7:30 am till 5pm.  Entrance ticket is $8. Plantations of cloves, cardamon, vanilla, nutmeg, turmeric and ginger grow on Zanzibar and Pemba islands. You can buy various spices at Darajani market. When the tide is low locals plant seaweed on the bottom of the ocean. You can join them at ocean farm in Paje village. Fish Day takes place on Fridays in Stone Town. In the evening traders set stalls at the seaside and sell various kinds of char-grilled seafood. Dishes are much cheaper than at restaurants. The holiday is celebrated with Mwaka Kogwa festival in July. 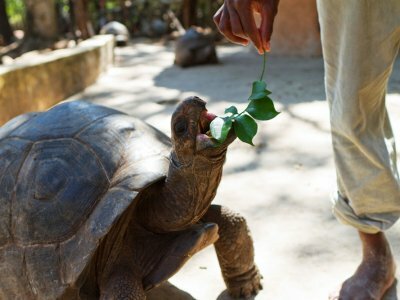 Prison island harbours Aldabra giant tortoises. Some of them are more than 100 years old. They are friendly, so you can feed and even pat them. Light sailing vessels have been made in East Africa and India for more than 400 years. 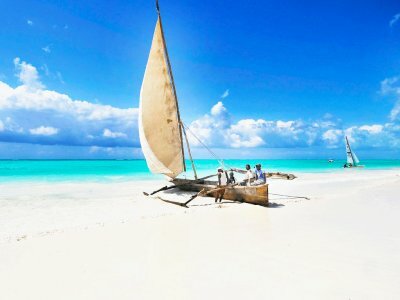 You can find a dhow boat on Nungwi beach in the north of Zanzibar. 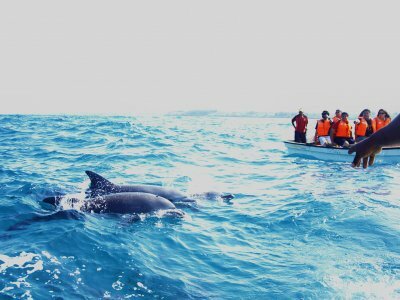 Kizimkazi bay is the place where you can see dolphins and swim with them. Boats run here from Kizimkazi at about 6-6:30am. Price of $10 includes flippers and snorkeling mask. 35% alcohol drink is made from distilled sugar cane. It looks like vodka, but tastes like a milder version of gin. All bars in Dar es Salaam offer their local spirit. 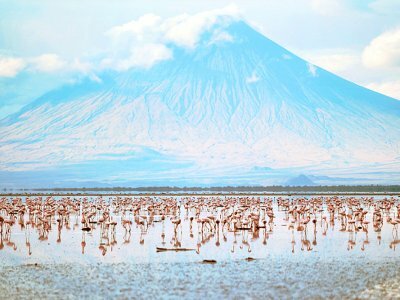 Every summer millions of lesser flamingos nestle on the bank of lake Natron. Kigelia tree fruits resemble sausages and are used in medicine (consuming fresh is poisonous!). They grow all around tropical Africa. 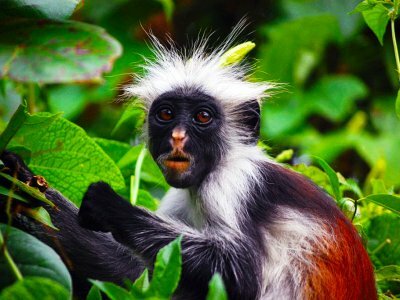 Come to the Serengeti national park from December to April - after a rainy season here you'll see hundreds of animals among which monkeys with blue scrotum. Traditional African piece of colourful cloth. Each kanga has a Swahili saying patterned on it. 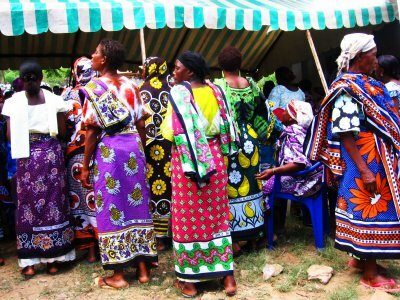 You can buy the traditional garment in shops and souvenir stalls in Dar es Salaam. Tanzanites are blue semiprecious stones that are extracted only in Arusha. It is better to buy them in jewelry stores with certificates. 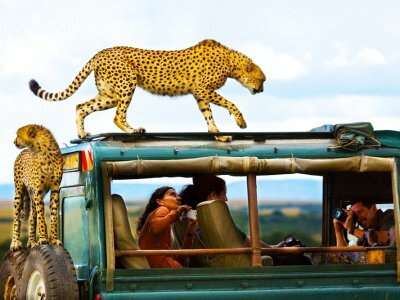 Share your ideas of what to do in Tanzania with other travellers — together we'll make our travellings more interesting!